If you are easily distracted by your smartphone while driving you may be interested in a new piece of hardware called the RiVE which has been specifically designed to offer you distraction-free driving and eliminates the ability to text and drive, while keeping you connected to what matters. Watch the video below to learn more about this new piece of hardware which is launched via Kickstarter this week to raise the $25,000 the development team require to make the jump into production. RiVE seamlessly integrates simple hardware and software in a single system, making it the only product that simultaneously eliminates both the temptation AND the ability to use a mobile device while driving. RiVE’s sleek hardware eliminates the driver’s physical interaction with the phone. You simply plug it in from your dashboard and a clip blocks the home button on your screen, freeing you from the ability to check your phone. Meanwhile, the app’s software holds text messages (and all other) notifications while the vehicle is in use. Senders receive a customizable auto-reply informing them that the recipient is driving and will be notified of their message once the car is parked. At the same time, RiVE allows the driver to receive a phone call and stay connected to their phone’s GPS and entertainment services (music, podcasts, etc.). RiVE is unique in that it offers effective safety protocols without the overbearing and invasive restrictions (e.g. blocking all phones in the car, requiring a complicated dashboard installation, or allowing for GPS tracking of the vehicle’s location). 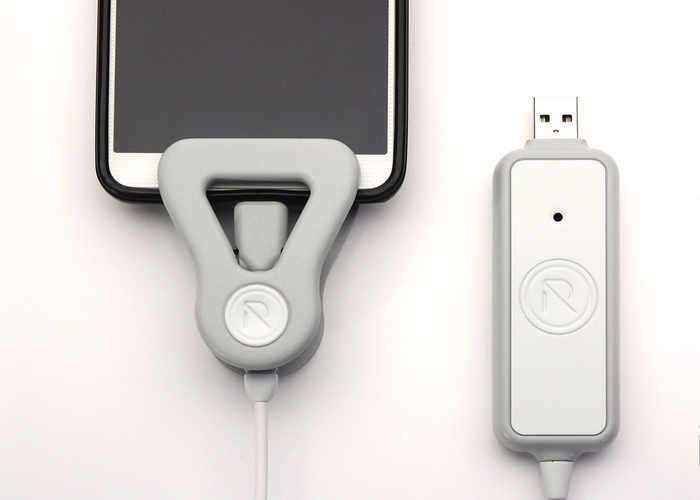 RiVE is as obvious as buckling a seatbelt and as easy to use as a phone charger (which RiVE also conveniently does). For more details and to make a pledge to be one of the very first to own a RiVE, jump over to the Kickstarter crowdfunding website via the link below.